Hi all! Thanks again to Apothemary for the nomination. I forget to read poetry. I sometimes write it, but don’t publish it. Why? Well it’s me at my most vulnerable. How about you? What do you think of poetry or this quote? Looking forward to seeing who has inspired you! 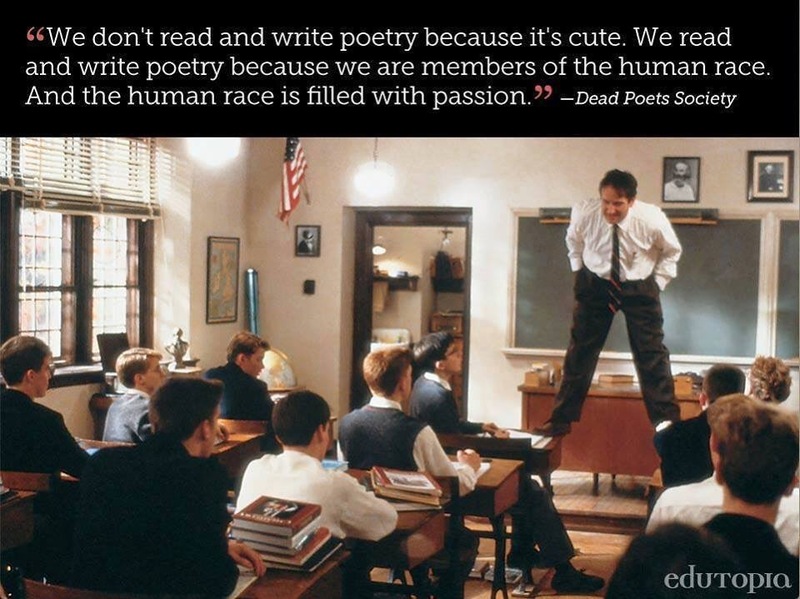 Posted in Uncategorized.Tagged Challenge, dead poets society, quote, Robin Williams. Yes we are! Full of passion!